Optimizing processor design in high-performance computing now requires lots of small changes. Performance levels in traditional or hyperscale data centers are being limited by power and heat caused by an increasing number of processors, memory, disk and operating systems within servers. The problem is so complex and intertwined, though, that solving it requires a series of steps that hopefully add up to a significant reduction across a system. But at 7nm and below, predicting exactly how a chip will actually operate is quite challenging. And in the high-performance computing market, where the goal is to design the highest-performing chips, power now dominates as the primary limiting factor. This has caused a significant shift in how chips are designed for this segment of the market, particularly for cloud-based data centers where always-on or rapid power-up is required. Unlike in the past, where overdesign was a commonly used approach for ensuring uptime in server racks, that is no longer an option because it affects both power and performance. Energy is expensive, particularly in a large data center. 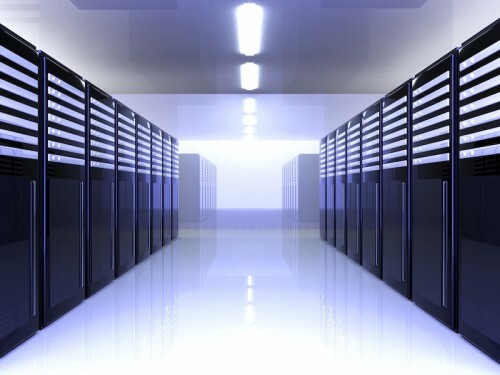 In fact, it’s a line item in most data center budgets, and it can vary greatly depending upon regional availability of energy, the heat generated by server racks, the direction and temperature of air or liquid used to cool them, as well as how many processors are “on” versus “off” or in some state in between in cloud-based operations. Data centers are using simulation tools to analyze racks of servers because each device is a heat source that needs to be cooled. That typically involves what type of cooling is used and whether heat dissipation and cooling can be optimized. But the HPC market offers challenges beyond what many designers are used to in the mobile space. The on-chip temperature gradient is no longer as low as it used to be, so a flat assumption no longer works. Overdesign has long been the answer to reduce design risk, but this approach no longer works at the leading edge. “When designers are uncertain about the impact of variation effects on transistor-level components, they add margin—this ensures that their chips will work, but trades off performance, power and die area,” said Jeff Dyck, director of engineering at Mentor, a Siemens Business. For example, when a chip has to work from -40°C to 125°C at voltages ranging from 0.48v to 1.2v, and across process variation to 4 sigma, designers often will simulate a subset of the PVT corners and maybe a few hundred Monte Carlo samples (~2.5 sigma) at one or two of the worst case PVTs. That degrades performance and increases power consumption at advanced nodes. In high-performance computing, particularly AI and cryptocurrency mining, the key concern is power management. All of this requires power management, both in the sense of managing the thermal effects inside the chip, package and board, as well as within the server, the data center and even in the commercial power grid. Traditionally, the high-performance compute environment was not a low power environment. With the system and the chip, the power grid must be created to supply the power demands of these processes and their very extensive grids. While there are still many challenges from advanced nodes, one area where design has benefited from the latest technology is the gate structure in finFETs, which substantially reduces leakage current over previous 2D transistor designs. But no technique is effective forever when it comes to device scaling. Leakage was under control at 16/14nm, but it is beginning to creep up again at 10/7nm. The next-generation technology to reduce leakage will be the gate-all-around FET, which may include a horizontal nanowire or a nanosheet. It’s not clear when that will be introduced, but the current thinking is that technology will begin to appear at 5nm or 3nm, depending upon whose definition of a process is being used. This isn’t just about process nodes, though. High performance computing utilizes a variety of processor types, and all of them have power-related challenges. There are a number of other, similar scenarios illustrating it is an industry-wide challenge. This has a significant impact on GPU design. “In the mobile world, we have seen that operating at the nominal voltage has been decreasing because you have to function within a power envelope, but now even GPUs would be likely forced to go that way. And if GPUs start to go sub-800 millivolts toward let’s say 600 millivolts, then even GPUs would start to look at voltage impact on timing, process variation, all of the challenges that the mobile sector has,” Gupta said. Power is a major headache at advanced nodes, and it is a particularly thorny issue in the HPC world. But there are no simple solutions to this problem, and there are no silver bullets anywhere on the horizon.